Visual Lure has recently launched the St. Louis Metro East Levee Issues Alliance website. The Levee Alliance is a growing coalition of business and civic organizations, community leaders and concerned citizens working together to gain sufficient time and funding to bring the St. Louis Metro East levees up to new federal standards. 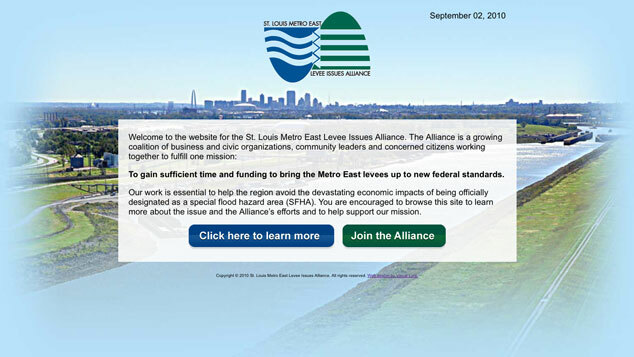 Please visit www.stlmetroeastlevees.org to learn more about the issue and to become an Alliance member.